Ice cream. Gelato. 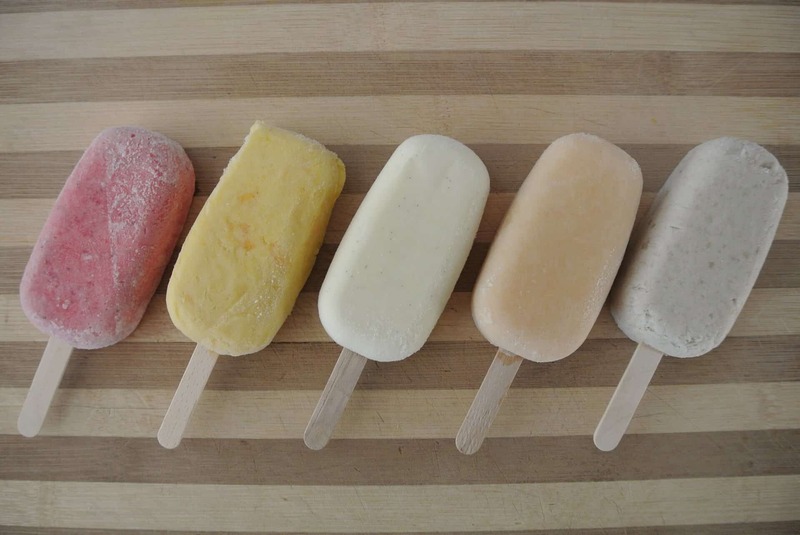 Popsicles. Summer is made for after-dinner treats in Edmonton. If you’ve happened upon here wondering where to get ice cream in Edmonton or if the ice cream truck doesn’t frequent your neighbourhood, we’ve got a few places that you can head out to try something new – and some tips and tricks for finding the best ice cream in Edmonton. Located in West Edmonton Mall, Popbar is one of our favorite get out of the heat treats because you first get to choose your choice of popsicle (gelato on a stick), and then you get to choose if you want to dip it and take advantage of those delicious toppings. My favorite choice? The strawberry popbar in dark chocolate. There are Mini pops for the kids, and there are seemingly endless combinations that can get you through the whole summer. Found at the City Market downtown (and other Farmer’s Markets in Edmonton), these are some of the most delicious popsicles I’ve tasted. You need to try the vanilla, it’s going to rock your socks off. The fruity flavors are full of fresh tasting goodness and they’re a perfect way to cool off during the hot downtown city market. 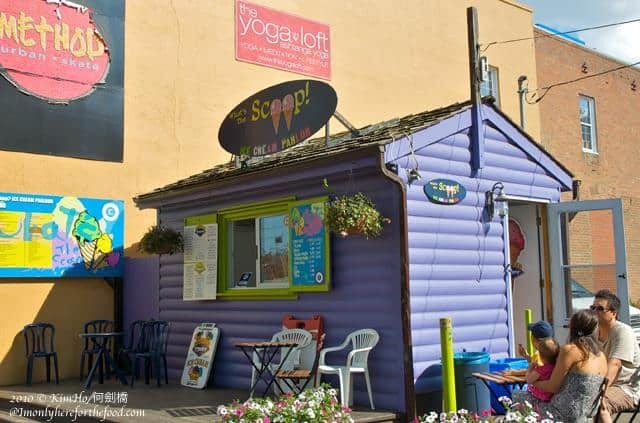 Located in Heritage, this is another classic ice cream shop where you’re going to find scoop after scoop of your favorite classic ice cream flavours. You can find the signature blue trailer at 4025 Gateway Blvd. Since posting a cone of their Irish Cream brownie ice cream on their Facebook page, it’s all I’ve been think about. 80 Flavours opens at 4pm on weekdays, and 2pm on the weekends. With coupons, promotions and groupon deals available, Marble Slab is one of those places that you’re never really going to have to pay full price. 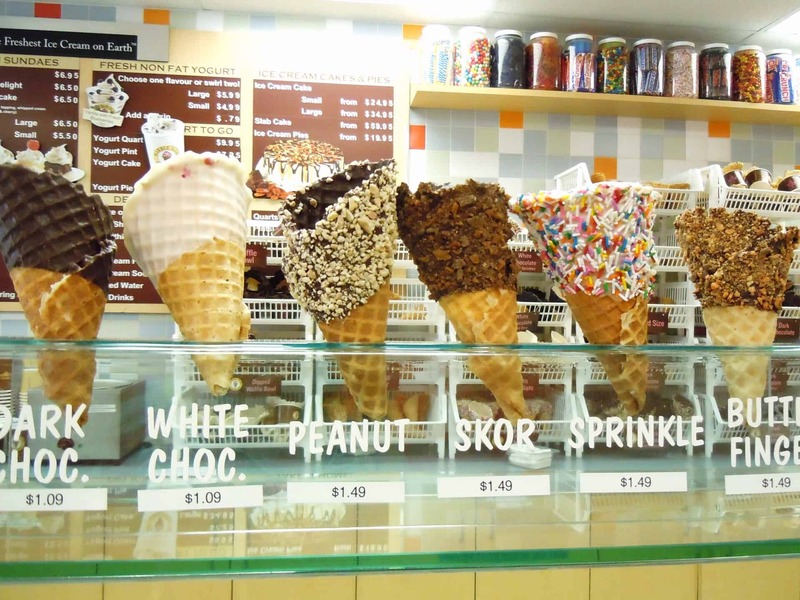 You’ll be like a kid in a candy store in the shop where you first choose your ice cream and cone, and then mix it in with candy, fruit and nuts of your choosing. Add the ice cream sandwiches available in-store to the list of things you need to try this summer – and bring the kids for a delicious afternoon treat highlighting some of the most easy to find ice cream in Edmonton, with locations all around the city. Pizza, flatbread and gelato? You can’t get much better than that. 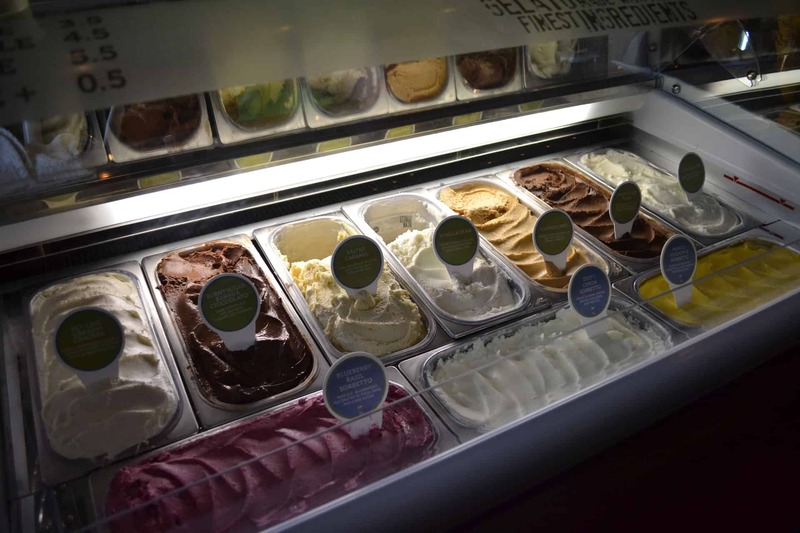 The kid friendly pizza and gelato to finish the meal brings Famoso into our top ten for places to get cool treats in Edmonton, this time, in the form of Gelato. Bonus points for the kid friendly food and the easy to find locations all around the city. Plus, the gelato works as extra incentive to keep the kids behaving through the meal. One of our favourite things to do on a weekend afternoon is browse through the store, grab some gelato from Spinelli’s and head over to Giovani Caboto park across the street. It’s a delicious way to spend an afternoon or evening, and as a bonus, one of the most affordable places to get gelato in Edmonton. Wading in the pools at the Legislature grounds? Bring along a bit of extra cash to take advantage of the good old fashioned ice cream carts where you’ll find prices ranging from $2-5 for those traditional rocket popsicles, to those creamy favorite character ice creams with gumball eyes. Bonus points for having two ways to cool off – in the water and with ice cream that will have you thinking ‘throwback thursday’.